Zimbabwe now has a Bitcoin ATM that is providing people with another way to buy and sell Bitcoin and Litecoin. The first of its kind in the southern African country, the 2-way ATM was deployed and activated in the first week of April 2018 and follows the nation’s growing interest in cryptocurrencies. The ATM was shipped into the country by the largest cryptocurrency exchange in Zimbabwe, Golix. It has been placed at Golix’s customer support offices located in the business district of Zimbabwe’s capital city, Harare. Currently, users can only access it during weekdays from 8 am to 5 pm but Golix has stated that it is set to move it to another location with 24-hour access. As far as continental strides go, Zimbabwe joins a very short list of African countries that have invested in such machines at one time or another. 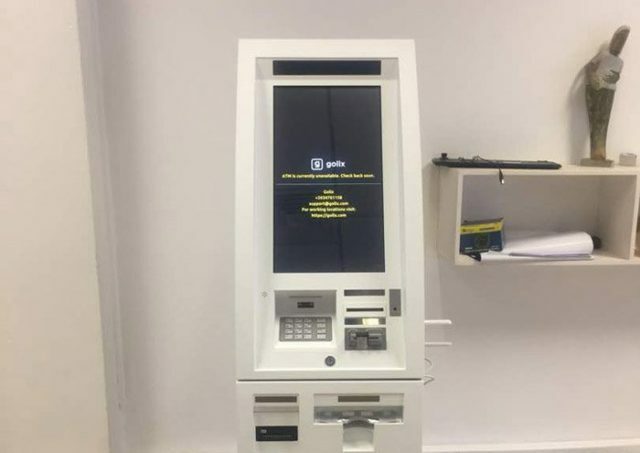 While a handful of countries like South Africa and Botswana reportedly deployed ATMs some years ago, at the present moment, Coin ATM Radar lists Zimbabwe’s Bitcoin ATM as one of the only two that are active on the continent. the other one is in Djibouti. The exclusivity of the ATM is hardly the focus, though. All the talk so far, especially in Zimbabwe, has been about how this ATM is actually dispensing cash – specifically US dollars – to sellers of cryptocurrencies. Zimbabwe has a lasting, nasty reputation for having recorded the worst levels of inflation in modern history. In 2009 the country dropped its own currency which had reduced ordinary people into paper trillionaires. It adopted a multi-currency system that placed the US dollar as the base currency for financial services, including ATM withdrawals. Less than a decade later, the economy is now plagued by a severe foreign currency and cash shortage which was supposed to have been fixed by a local pseudo-currency introduced in 2016 by the central bank called the bond note. Both the bond note and the US dollars are hard to come by and are actually sold on the streets by numerous black market traders. As such, local banks haven’t been using their ATMs for bond notes, let alone US dollars. The Bitcoin ATM, which is also the only 2-way ATM in Zimbabwe, is a striking anomaly in this environment, providing a normal banking experience with the trade of cryptocurrency which the government does not officially recognize as a currency. POINTS FOR CRYPTOCURRENCY AND DIGITAL LITERACY IN AFRICA? So, in all of this, what is the ATM supposed to achieve? According to Golix CEO, Tawanda Kembo, one of the reasons for getting the ATM was to provide cryptocurrencies newcomers with an easy-to-understand way to buy Bitcoin and other digital currencies. Kembo pointed out that despite the frenzy around bitcoin and cryptos in Zimbabwe in the past year there is still a good number of people who are yet to understand the value of digital currencies even as a real money alternative. There are also some who have heard about bitcoin and would love to get their own but are held back by challenges like digital illiteracy. The ATM was a response to requests for something that would make the buying of cryptos easy. I will repeat myself again, as with the main headline today about China exporting facial ID technology to Zimbabwe. Please be awake, yes this evil is being allowed to happen for a mysterious higher good by the BIG BOSS HIMSELF upstairs. Now talk of digital currencies, Zimbabwe is increasingly becoming a control experiment for anti-humans out there. Not a game anymore, but they will not succeed, because Zimbabwe is Africa’s hope and also home to powerful hosts from realms our mouths are too small to mention.